Every summer my brothers Tom and Steve, who both have lived internationally for many years, come to the States to visit family and have a little vacation. When things work out well, the rest of the family likes to try and all get together from our various locales and have a Staal Family Reunion. Over the years, we've had several reunions around weddings and other family events as well. We had a very memorable reunion several years ago at a Sierra Club Lodge near Lake Tahoe where most of the next generation was able to join us as well. This year it worked out well for much of the family to meet here in Michigan, where Steve and his family rented a cottage at Castle Park and many of the others stayed at a local Residence Inn. All six of the original Staal siblings were able to be there (Sisters Eileen and Judith lead the gang, followed by the four boys listed above). Lots of fun was had by all - pleanty of eating (Steve is justifiably famous for his Indian food!) and drinking (note the "beer bellies"), talking, story-telling, joking around, and just plain enjoying each other's company. 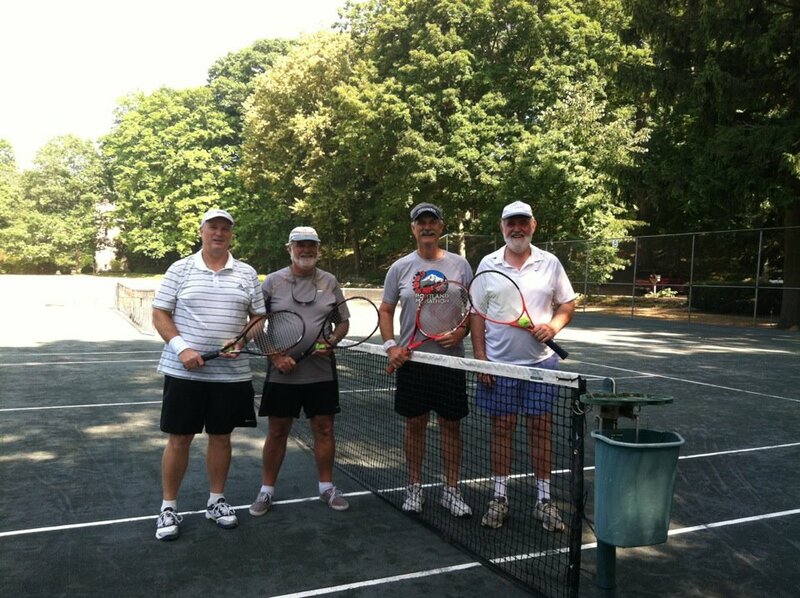 We usually also try to have at least one tennis game with the four boys. 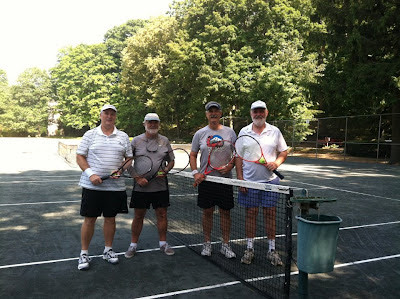 We grew up learning to play tennis on the red clay courts of Kodaikanal, India, and we all still enjoy tennis a great deal. Dude (real name David - but we call him Dude from the Arabic for David which is Daaood) is now probably the best player because he plays the most these days and is thus the most consistent, but we all really enjoy playing. We also had a great time playing with all the family of course - everybody taking turns partnering with others between generations and genders. I think my daughter Alisabeth put it well when she noted that our family just really has fun hanging out together. She thinks we're all pretty cool. I do too. For years we've been the ones staying in the states and awaiting word from the international types as to when they'll be here. Now we'll be some of those international types! Fun thought. Nice to see the Staal family together once again. I enjoyed my time at the gatherings. Best wishes to everyone!